Each of our basic programs has several different aspects: history or science books, pleasure reading, activities, research resources, Bible study, additional resource suggestions, map work, timeline building, and notebooking. We have incorporated all of these aspects so that there are plenty of learning avenues for the different learning styles your family represents. The variety means there is plenty to do, and some to discard if it is not working for you. So how do they relate to each other? Each of our themed programs has several different aspects: history or science books, pleasure reading, activities, research resources, Bible study, additional resource suggestions, map work, timeline building, and notebooking. We have incorporated all of these aspects so that there are plenty of learning avenues for the different learning styles your family represents. The variety means there is plenty to do, and some to discard if it is not working for you. So how do these different resources relate to each other? How do they work together to create a multi-dimensional curriculum? things your student needs to know in an interesting, engaging way. All of our books are chosen to capture your student’s interest and get them thinking and interacting as you read them together. 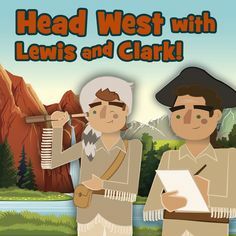 will draw your student into real life adventures or fictional journeys and help cement the things they are learning in their history or science studies. activity ideas, while some have kits or art books that also help along the fun! Many activities require supplies that would be found in any well-stocked homeschool art cupboard, and recommendations are made to guide you toward the activities that bring you the most fun for the least amount of preparation. Additional ideas are included in your guidebook, too! grades, and get students researching Biblical history and geography in high school. DVD suggestions, website links, field trip suggestions, and a variety of other media reinforcement. From listening to the Rebel Yell to taking a tour of the Seven Wonders of the World — your student will have the globe at his fingertips. Picture Studies acquaint students with work from great artists by interacting with famous pieces of art. guidebooks. These figures and other dates are designed to be placed in our “Timelines in History” timeline book. This book includes a blank timeline with dates on each page, as well as headings on each page that describe major civilizations, wars or developments to keep students mindful of what is going on in the world. This timeline book is hole-punched so that student work and our own notebooking resources, the “Make-Your-Own History” series, can be filed within it. Students will collect their art, reports, timeline figures, and notebooking pages to literally “make their own” history book with it! “Make-Your-Own” series are informative and interactive! Our pages aren’t like some resources where each page is the same — no, we’ve done the work to offer you many different pages that offer students chances to illustrate pages, write “newspaper” entries, create period placard signs, solve codes, and so much more. It’s a great way to reinforce daily work and a creative outlet for art-happy (and even not so art-happy) students. WP offers both print and ebook programs? NEW! 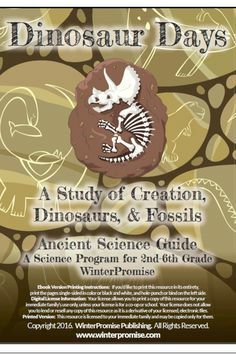 WinterPromise Ebook Programs! Yippee! It’s so exciting, and it’s really very simple! WinterPromise now offers ebook collections so you can receive them as delivered downloads, and use them in all new ways! These ebook collections are specially designed to look great on tablets or laptops, but they can also be used on a computer! With these files you can . . .
– Receive a variety of resources in an ebook set, including reading books and so much more! – Load your resources onto as many devices as you want. Portability allows you to school anywhere, and makes cuddling on the couch easier than ever! Easy-to-Print Files make it so easy to print out consumable resources, guide grids, or anything else you’d like printed. The fi les are in a PDFstyle format, and accessed through an Adobe Reader program or app. This allows you to print most of your resources, and printing instructions are right on the bottom of the covers! So What Do I Need to Know about the Ebook Programs? 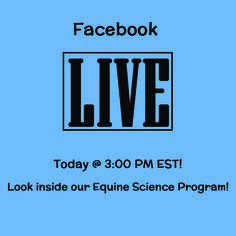 Almost all of our programs have an ebook option. The only exceptions would be some of our older LA programs. We’ve included special codes on the web pages that make it clear what kind of resource each ebook is. An underline signifies that code is how you are most likely to use it. The lack of any underline means you may use it more than one way. NOTE! All item numbers reflect the number of the print copy of individual items, even if it is grouped with items that come as ebooks. This is done for clarity and consistency, if families wish to search for items online. Item numbers of ebooks have an “e” added to the end of each item number, as you’ll see on our online store. Adobe PDF Reader will allow you to use your ebooks, so you’ll need it on each device you use. Each file has your password on it, which you enter each time your device is turned off. Your ebook set comes with a “Welcome Packet” with basic helps to get started. Beautiful Ebooks look wonderful on tablets and laptops. Many are formatted to fit these screen sizes perfectly, work great when your device is set to the “flip screen” setting and are great for cuddling with little ones or sharing with teens. How can I combine several students? How Can I Combine Several Students at Once? Each of our programs includes books to read together and discuss as a family. During these discussions, questions can be tailored to the ability of each student. 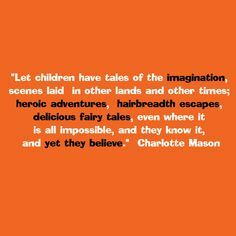 The content and stories themselves are ageless, meaning that they will be interesting and absorbing to almost any age, even if the reading level itself is not at the age of the student. Additionally, our program offers activity ideas, workbooks, notebooking, timeline building, DVD suggestions and internet links — resources that can be used or discarded as they work or don’t work for your student(s) particular learning style(s).This variety of resources also means that a family can require older students to complete/use more of the resources, while younger students do less. Students can also work independently on projects or try to venture out on their own on research or ideas offered in the guidebook or resources. Some of our programs are multi-level programs, that share some common resources, and split to offer a set of resources for two age groups. 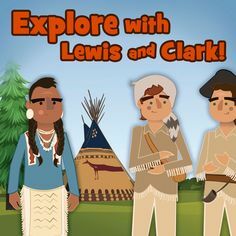 These programs allow family work done together to be a shared and memorable experience, while resources particular to each age group are chosen for their ability to excite students right at their grade level. You’ll also find that we offer a few “extension” guides for some studies. Look for guides for “Older” or “Younger” learners that will offer you helps and ideas on how to make a program work to fit all of your family members. Finally, a range of language arts programs are available to coordinate with the history or science program that is right for your family, giving you quite a few options for age groups. How Does This Program Change from Level to Level to Meet the Changing Needs of Students? Our youngest learners begin with programs that focus more heavily on crafts and do not have as many different kinds of activity suggestions as older programs do. 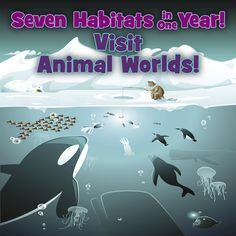 “Animals and Their Worlds,” for example, has fewer suggested videos and “activity-based” ideas like games or cooking. Instead, this program focuses on giving this additional space to alphabet activities written into the program, designed for learning and reinforcement for young learners. 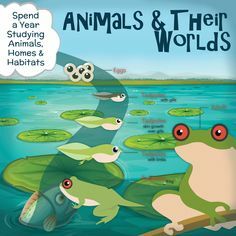 It has less written work, no independent work to speak of, and includes a few picture books (which our other programs do not); primarily because this is written to target young learners. You see, this program is specially designed to meet the needs and interests of young learners, and to give them plenty of time to master reading, which is their top priority at this time of their education. As students mature, the programs Amer 1, Amer 2, Adventures in the Sea and Sky, and Ancient World 4/6 all focus on interactive opportunities with written work as well, with an emphasis on hands-on, experimental learning. Independent work is introduced and gradually becomes a greater part of the program for middlers. As we move into our high school programs, the emphasis changes once again. These programs focus on a balance between the hands-on experimental learning, research opportunities, written work, great literature and discussion sessions. In short, our program grows and changes as a students’s skills, mental development, and interests grow over time. As you look at the day’s resources and activities, keep in mind that WinterPromise offers many different kinds of learning resources and tools, so your family can tailor the program to your own needs. In fact, you can tailor the program so each student focuses on the parts of the program that really connect with their learning style! Wow! Let’s look at an example of this “tailoring” Suppose that one of your students is a hands-on learner while another loves art and yet another loves to write. As a family you can complete many of the learning opportunities, then allow each child to focus as they learn best. Your hands-on student can complete more activities independently, while your art lover is more creative with their notebook, and your writer tackles written projects for their notebook or spends extra time on their language arts creative writing assignments. At the same time, they can do a little less in areas that just don’t connect with them. We offer everything you need to have a variety of memory-making moments! Check Out this American Crossing Schedule Page! We’ll Work Through Day 3 of This Week. Starting with History Books, you’ll dive into your day. Today you’ll read through a lesson on “Colonial Beginnings” from the Time Travelers text, then discover colonial “Tools and Gadgets,” enjoying all the photographs of tools used by merchants and tradesmen. Picture Study today will have your student working on John Trumbull’s painting, “General George Washington Resigning His Commission.” After taking a few minutes to quietly look at this beautiful American picture, your student will read background information provided in the “Early American Painters Picture Studies” resource. Activities and Projects fit right in after some reading. 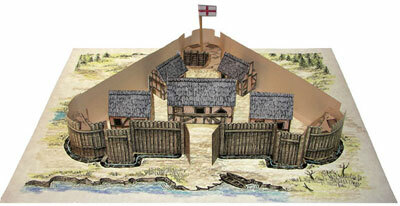 Today you’ll work on a Time Travelers activity, making a replica of Jamestown. Take a look at the completed model below. Map Work for today is to work on coloring in the “Mitchell Map.” You can see the map, already colored and completed to the right. 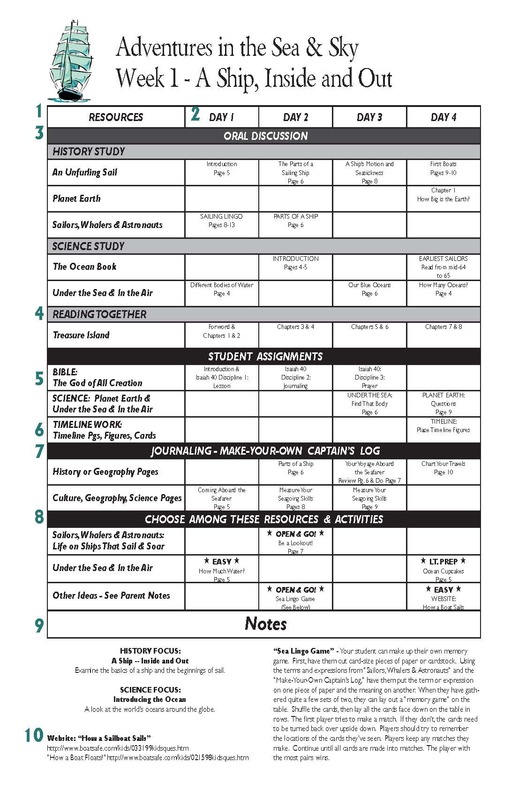 Timeline Building & Notebooking is not happening today, although you’ll make sure your “Mitchell Map” is filed in your “Timelines in History.” You can look forward to gluing timeline figures into your notebook tomorrow. Language Arts is designed for most students to complete fairly independently, and many parents choose for their students to complete this during the early afternoon. Math is purchased as separate programs, either from us or another vendor, and can be worked in the early afternoon. 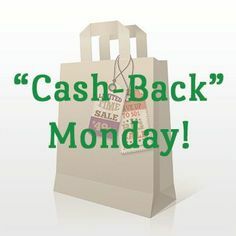 Science is also purchased separately, and many parents find they love doing science on their “5th” day, as their themed programs are completed in just four days a week. famous American and a character quality he exemplifies that God would like for you to build into your life. Additional Resources Suggestions can fit in anywhere during your week. A relaxing way to pull Dad into today’s studies might be by watching a DVD you’ve borrowed from the local library for use this week, entitled “Save Our History: Secrets of Jamestown.” This DVD is suggested in your guide, and takes you “right there” to see how excavations there shed light on life in this first permanent settlement. What kinds of help are in the themed program? Daily Planner — No Need! Your Guidebook has it All! invaluable advice about teaching, and offers ideas for activities and reinforcement. 1 – Resource titles are listed in the first column. 2 – Each day’s activities are listed in their own column. 3 – The oral discussion section is always at the top, and consist of history or science books. These books are designed to be read aloud with your student. 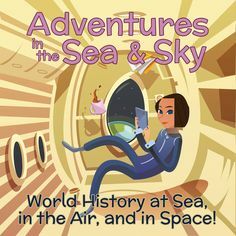 4 – Adventure reading is listed next and these books also designed for reading aloud. 5 – The Bible study section can be completed aloud or independently, depending on the student’s age. 6 – Timeline work is included in programs that are history-centered. It is found in a separate section for independent work that needs to be completed by the student each day. NOTE! Some programs also have a special focus set, such as American Story 1’s “Native American Focus,” which rounds out the program and allows students to study people groups or events up-close. These books can be completed as read-alouds or as additional independent work. 7 – Our premiere notebooks are so large that pages often support many different topics such as history, geography, culture, science, or specialized topics closely related to the themes. 8 – The activities section lists all the resources available to you from which to choose which activities you wish to complete. Each activity is rated according to how much preparation or supplies are needed to complete it. 9 – Notes at the bottom include clarifying remarks or instructions for the parent. 10 – Often additional activity ideas, video suggestions, or helpful hints also appear here. Website links are also common; they give ample opportunity for students to learn even more about their world. Your language arts guide complements your basic study guide perfectly. It adds to your subject study all language arts skills: phonics, grammar, spelling, vocabulary, handwriting, and creative writing. The creative writing assignments are taken from the subject matter of your basic study. Thus, when you order your language arts program, be sure to select the package that coordinates with your basic study. Additionally, you can hole-punch your on the right, so that it will lay across from your basic study guide pages. If you do that, your binder, when opened flat, will have Week 1 language arts and basic study laying side by side. Everything you need for the week — available at a glance. What Types of Activities Can I Expect to Encounter? Each of our programs has books devoted to bringing you activity ideas, while some have kits or art books that also help along the fun! 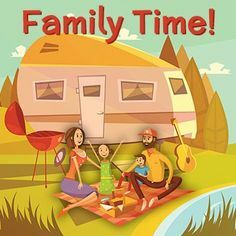 Activities may include making simple historical crafts or “artifacts,” cooking period food, arranging a family dinner, creating games for family fun, making simple costume pieces, recreating historical events, watching a historical docudrama, or creating your own posters or newspapers. 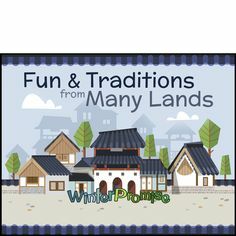 Online fun may include visiting historical sites online, taking a peek inside museums around the world, playing games that reinforce what you’ve learned in your studies, journeying through another land, researching a topic online, or even hearing the sounds of a culture or important person in history. The most important thing to remember, however, is that the vast majority of these activities are activities that you will actually follow through and do! Most require a minimal amount of preparation, or even no prep! You’ll follow through because of a number of factors that help you along the way. Some activities are just so easily available with no preparation, such as online activities. We let you choose from a variety of activity opportunities — there are so many, you’ll have plenty to discard if they don’t work for you! What Kinds of Supplies Will I Need? Many activities require supplies that would be found in any well-stocked homeschool art cupboard, and recommendations are made to guide you toward the activities that bring you the most fun for the least amount of preparation. All of our guidebooks bring you a supply list for you to look at and plan for the coming year. This includes a list of what kind of common supplies you’ll need to have on hand as part of your craft cupboard. Not only that, but we provide a yearlong “Activity Planning Sheet.” Divided by week, you’ll have plenty of advance notice for any unusual supplies you’ll need, and you’ll be able to decide ahead of time which activities you do want to complete and which ones you’ll pass on. Can I order a complete graded package? Some parents would rather just buy a graded package with all the curriculum they need for a single student. However, because our programs are appropriate for a range of ages, the choices are just too many. In addition, some parents prefer to follow WP’s preferred sequence, while others would rather cycle through history several times. Please understand that these are only recommendations for each grade — there are many other options! Also, the order of these themes is an ideal, that usually only works well if you have just one student, or two students very close together. To purchase any of the component packages for each grade, head to the WP Store, or read more details about the Themed Humanities programs, Language Arts and Science programs in our Explore section. For those who prefer to follow WinterPromise’s preferred sequence. For those who prefer their child cycle through history several times. How do I use WP to encourage advanced thinking in my high school student? SKILLS DEVELOPED IN SUBJECT MATTER: As students learn their subject matter, some of that subject matter in and of itself translates into skills, because they practice those skills as part of the learning. The scientific method, for example. Students may “learn” it as part of their subject matter, but they utilize it and gain skills through learning it, then trying it, practicing it, and understanding it. Students learn a lot of subject matter or content, but there’s always some of it that translates into skills. This is even more true when you are participating in active learning (as in the science method example above.) 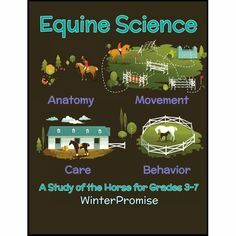 WinterPromise offers a lot of active learning whose focus is educational and practical. Many of these opportunities — or even most of them — require students to draw upon content learning to develop skills and put them to practical use. It is a strength of active learning, at least active learning that is focused on educational goals, not fluffy busywork. That’s what you’ll find at WP. A focus on practical, rich learning . PROVING HYPOTHESES & LOGICAL ARGUMENTS IN STUDENT ASSIGNMENTS: The proving of a hypotheses and making logical arguments is more commonly thought of as proposing an idea, and setting out to discover whether it has merit or is without basis, then structuring a logical argument. A student commonly proves hypotheses in science, but this thinking cycle infiltrates any discipline where the student must think through why something happened, for example, and support it with examples. This requires students to think through a premise based upon the content they have learned, conduct research, and (hopefully) support their premise with examples. This can be done in language arts in a research paper, or history in a project or paper. As an example, a student could decide to discover why the Mongols were successful at building an empire. From what they have learned, they could feel that their fighting style and their policies in ruling conquered peoples were the reason. As they researched, they would discover their hypothesis was proven correct, disproven, or that is was partially correct, but incomplete. Students can complete this cycle less formally in WP’s notebooking, discussions with parents, narration about choices a character makes and where they will lead, long answers to questions posed by parents, and more. These are all learning situations encountered in WP. It can be encouraged by parents, who guide choices for paper topics, discussions, questions, and narration. For you the parent — ask open ended questions that require students to draw upon content knowledge, take that knowledge and use it. WP’s entire set up provides opportunity for students to practice these skills again and again. This skill set, like many others developed in a good educational setting, translates in innumerable ways to further education and workplace situations, even ministry. DISCUSSION SETTINGS: As mentioned above, parents can encourage thoughtful discussion that develops thinking skills in students. Some WP programs offer discussion questions or literature-based discussion in language arts programs. However, parents can really formulate the very best questions, based upon what catches a student’s interest or what the student personally struggles with. Discussions can take place on something a fictional character also struggles with, on why people in history behaved or thought in a certain way at a given time, or on talking through social movements, their ramifications, and more. The possibilities for discussion are limitless. INTRINSIC PROGRAM REQUIREMENTS: Finally, the requirements of WP’s programs themselves build thinking skills, leadership, and self-motivating learning skills in your students. Many of WP’s assignments require open-ended thinking, and defense of answers. This takes place in notebooking and other assignments. Many assignments suggest service or volunteer opportunities that are designed to encourage and grow your student’s leadership skills, and allow them to build self-confidence as they create a plan, manage their project, overcome obstacles, and work with others. Parents need to remember these are growth opportunities, and encourage students to include some of these types of assignments each year. 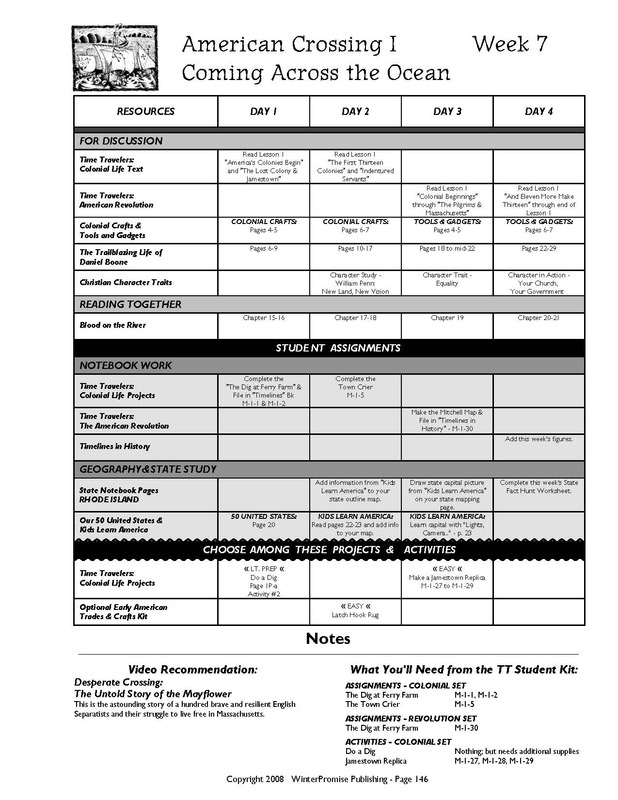 WP also includes independent study worksheets in most of our themed program guides. These worksheets allow parents to give assignments to students, and, as students move from middle grades to high school, allow parents to require students to complete more and more of their work independently, building the student’s ability to work on their own, and toward self-motivated learning. How do I know my student is meeting state standards? First, when a parent asks this question, he or she usually means, “How do I know my student is studying the right thing at the right time?” and is wondering if their student should be studying American history in third grade, or volcanic activity as a middle schooler. However, the issue of state standards more often relates to skill ability rather than content studied. Therefore, the meeting of state standards is really a question of “How do I know my student is acquiring the right skills at the appropriate pace?” We’ll answer both of the above questions here. First, the matter of studying “the right thing at the right time” as relates to state standards is an impossible task for any curriculum for two reasons: (1) content that ought to be studied in a certain year varies from state to state as states or school districts, not the federal government, determine content for certain grades, and (2) these content standards are constantly changing as states or school districts update and rearrange their schedules. So, really, the more important question about state standards is “acquiring the right skills at the right time.” WinterPromise usually exceeds these state standards if the entire program is used as written (with the elimination of some activities, of course, as we have given you more than you should be able to use). If you’re still curious, it may be helpful to look at your state’s standards. Here’s a website that has compiled most of the state’s standards: www.greatpyramid.com . Click on the “Educational Standard” link about halfway down the page. How can I incorporate any quizzes and tests into our homeschooling using WP? This is not a simple question, as the Charlotte Mason methodology and the literature approach method on which our curriculum is based generally do not advocate a strong testing paradigm. 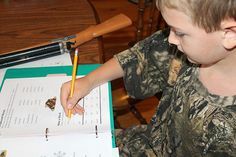 One thing many parents find as they investigate homeschool methods is that really good methods turn many “traditional” schooling methods on end! Assessment is definitely one of these issues. Assessment in the traditional schooling sense is designed for a teacher of 20 or more students must determine their mastery of material. This goal for testing diminishes in relevance when you as teacher have direct contact with just a few students in such a way that you are not “teaching” them as much as you are “learning with” them. 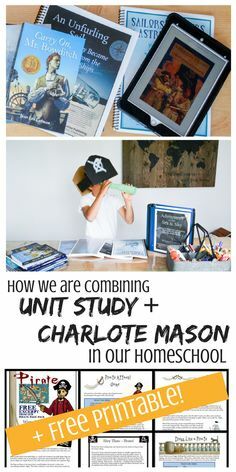 The Charlotte Mason method our curriculum employs encourages discussions, open-ended questions, and instant feedback that, in a homeschool setting, is leisurely and increases with time to a way of life. For clarity, let’s consider an example. One of our families recently reporting being engaged in a conversation about the Romans’ development of naval ships. They discussed at length why that was important and what happened on the international scene as a result. One child offered that the Romans fought at sea as if they were still on land, using hand-to-hand techniques. Another mentioned that their techniques required the use of elevated platforms for archers. Another brought up their use of the gangplank to bring enemies into their type of fighting. Another talked about how their dominance at sea allowed a peace that brought trade, prosperity and connection between peoples. This conversation is precisely what our methologies desire as an educational outcome; an ability to ask an open-ended question, require reasoning, and receive answers that combine facts to make a conclusion. The goal is not to simply recite facts. Now, I could assess them each with a test, but to test them I’d actually have to test them for information – reciting facts — that isn’t really my goal for them. My goal in teaching them really isn’t to establish that they know isolated facts like “Columbus sailed the ocean blue in 1492 …” Instead, my goal is for them to know in what period he sailed, why it was important, and what happened as a result. With this goal in mind, assessment changes totally. Assessment of my success with my student must be gained differently. How? Decide what your true goal is for your student. Set your mind on your goal for your student, then ask yourself how to get that. Usually you’ll find you’re very in touch with what your student does/does not know on your own, so assessment may be more often for the benefit of state agencies, than even for the benefit of you, the parent. But, it’s still nice to have peace of mind as a parent! So, below are some ideas we’ve used for assessment for these agencies with great success (and for giving a parent peace of mind that he is holding the student to a standard for success). The big thing here is, you’ve redefined the “test” to meet your own goals for your student, which more closely reflect your methodology and your ultimate desire for them to be “well brought up,” as Charlotte would have said. We’ve never had a state agency question these types of grades. Use varied techniques to assess that more closely represent your true goal for your student. 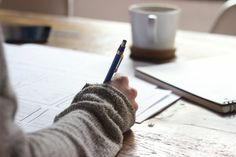 Use the narration starters we’ve provided for you in our guides, and give a daily grade for student success with them. Assign a daily grade for discussion participation. Assign grades for reports done/projects completed based upon activities we’ve given you in the guides. Elaborate with learning goals accomplished. Give a student a “narrated test” that simply allows them to tell what they know, rather than a Q & A format. Assign grades for daily review that you incorporate. Assign grades for volunteering or skill learning that supports your learning goal. Assess student achievements as an overall in a set “rubrick” that defines your own goals. These are just some examples for assigning grades. Use traditional techniques if you really need the peace of mind, or to reassure yourself you’re doing well until you grow in confidence with this new way of “teaching.” If you’d still like to do more traditional testing, an easy way is to underline key facts in key resources as you are reading them aloud to your students. Then, use these underlines to perform daily review. Finally, every 1-2 weeks, simply read aloud a “question” based upon the fact you’ve underline and have your student write the answer. Grade the impromptu test right away, and you’ll have an instant, low-prep test. This is an easy way to feel as though you’ve done some more traditional assessment. Some of our programs do have some quizzes and tests, including Ancient Sr High, which features quizzes and tests in Mystery of History Volume 1 and the Holman Bible Atlas, as well as Middle Ages Sr High, which features the same from Mystery of History Volume 2. A couple of practical notes – -You might be surprised that the state agencies parents often “worry about,” for their turn rarely worry too much about assessment techniques. Why? It’s hard to say; perhaps it’s because the state knows assessments can be manipulated by parents anyway. Most agencies want to see work samples and sit down with parents to make a judgment about the probable success of their students. It is likely that any assessment you do will demonstrate a far more personal understanding of your student’s progress, and also demonstrate your commitment to their success, than any assessment the state could perform. Then — as to getting to know more about these different approaches — we’d encourage you to read “A Charlotte Mason Companion” by Karen Andreola. It is a great resource for additional, practical ideas, and a comfort in those moments you might feel unsure. If you have read it, we’d encourage you to try to take her ideas the next step to a home setting. 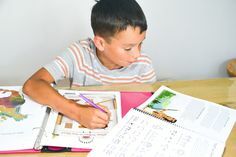 I say all this to reassure you that, as you slowly immerse yourself in this world of homeschooling, you may find a new freedom to leave behind some constraints to be found in the practicalities of managing a multi-student classroom. When you work one-on-one with your child, you just know a lot more about what they are learning! Enjoy the journey! I have a child identified as autistic. What parts of this program will work for him or her and how? We have received some feedback from parents using our program with autistic children, and these are some of their thoughts. Autistic children often have trouble with caring to learn if they can’t see how it relates to their lives. They may also have difficulty with too much sensory input, and do not do well with multi-tasking. They do, however, learn well when they are motivated, work well in a sensory-controlled environment, and apply themselves well to tasks broken down step by step. Therefore, before you begin our program, it may help to remember to set up a learning environment that reduces distractions and interruptions, and does not over-stimulate your student. It may also help to develop a pattern of breaking any assignment down into smaller steps. And most of all, it may help for you to “follow” your student toward those things that catch his or her interest, especially as you begin. Parts of our program have been successful for some parents, although you will want to follow your child’s lead as you choose what to do. Our history books are often well-received as they are quite visual and interesting to read. It may help to ask the child to read some of the titles on their own or aloud, then read aloud the rest to him or her. The activities have been successful if they are not too easy, nor too difficult, and if you plan to break it into steps. Plan to set the activity aside in the middle for a time if your child becomes frustrated by the process; plan to come back to it later, not by forcing the child, but by interesting the child in completing the project. DVDs have also been highly successful, and some parents have noticed children taking material from the DVDs and using the information learned by setting up play scenarios, literally reinforcing their learning in their play activities. Our program does offer many learning avenues, and often one or another of them will catch the autistic child’s interest. 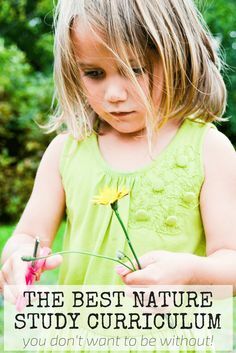 Let him or her explore areas of interest, and gradually, with time and patience, you might find you’ll be able to do more and more leading into areas that aren’t of strict interest to the student. One parent’s best advice was to make sure above all else that the child is developmentally ready for whatever level you choose to do. As to math, one parent recommended using real-life kinds of simulations, such as shopping situations or playing money games like Monopoly, and using manipulatives to make the math three-dimensional and practical for your student.